The Duquesne Dukes battled all season and finished with a 16-16 overall record. 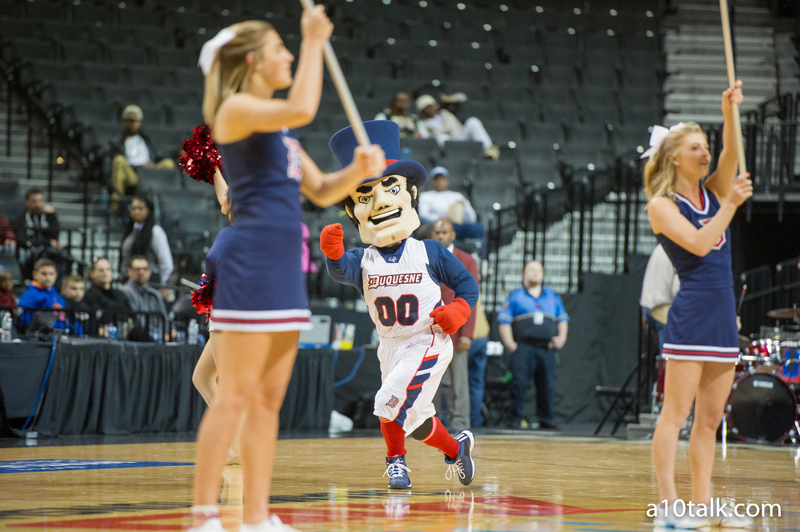 After a hot start, some thought Duquesne might have a shot at emerging as an A-10 sleeper. Unfortunately for the Dukes, this did not transpire. Including the first round A-10 tournament loss to La Salle, Duquesne dropped 9 of its final 10 games. Certainly a finish no one wants to endure. Due to early season success, however, the Dukes will still wind up in the postseason as they plan to enter the CBI tournament. Senior guards Derrick Colter and Micah Mason have led this Duquesne team all season. They both average nearly 18 points per game and leave everything out on the court. If these two can heat up during the CBI, Duquesne might have the capability to win the whole tournament. As nothing official has been announced yet, we do not know who and when the Dukes will play. Stay tuned for more updates regarding A-10 team’s postseason hopes and announcements.